Waze is a navigation app you run on a smartphone that helps you find directions and avoid traffic jams. The Waze app is available for Android, iOS, Windows Phone and Windows Mobile platforms. It provides real-time directions that are adjusted on-the-fly to account for various types of potential obstacles. 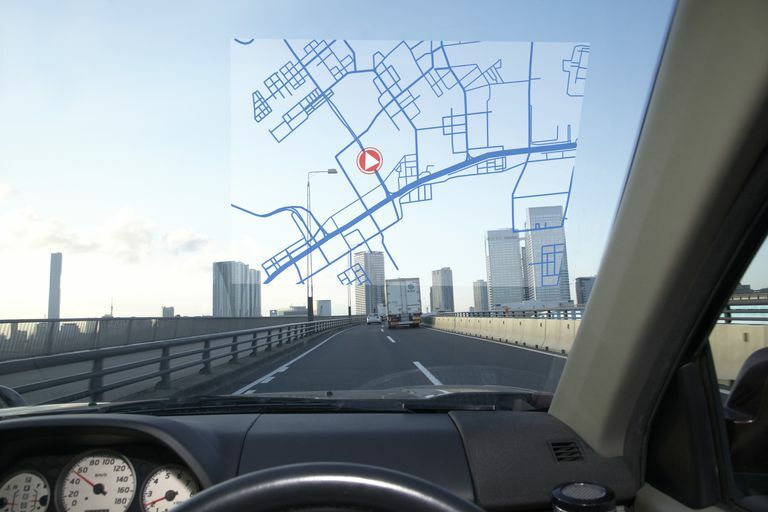 There are plenty of GPS-driven apps and software to choose from, including options that may have come pre-installed in your car's dashboard interface or on your mobile device like Google Maps and MapQuest. Most do a respectable job when it comes to step-by-step navigation, and some even account for congestion and other factors that could affect your overall drive time. Waze handles things a bit differently, though, relying on the power of the people to steer you down the right roads. With over 100 million users sharing noteworthy information about what they encounter along the way, Waze stays constantly updated about anything that could slow your progress. Input from your fellow drivers, known as Wazers, lets the app alert you to important items such as construction, police activity, accidents and even minor things to look out for like potholes and disabled cars on the shoulder. Waze utilizes all of this information seamlessly to predict accurate arrival times and tailor turn-based directions as you drive, helping you traverse both city and rural roads with confidence. The app is highly customizable, letting you select from a 2D or 3D display and from one of dozens of voices across almost all popular languages. If you aren't satisfied with any of the voices provided, Waze lets you record your own voice for directional playback purposes. Since Waze is powered by the masses, it's only natural that the app encourages social interaction beyond just warning others of a three-car pileup or hidden speed trap. By integrating with Facebook, you can choose to share your location with friends as well as view their progress if you're heading towards the same destination. This feature also helps you see if anyone you know is nearby. You can also send a message or a virtual beep of the horn to other drivers in the area, providing the ability to make new friends along the way. The social nature of Waze can even save you some money, as its compendium of user-shared gas prices allows you to quickly find the cheapest fuel in your neighborhood. Android Auto takes your smartphone's most commonly-used features and integrates them with your car's built-in dashboard screen, allowing you to access key functionality while keeping your eyes on the road. A selection of third-party apps are supported by this voice and touch-activated platform, and Waze is one of them. A logical fit for your automobile's dashboard, the combination of Waze and Android Auto makes for the perfect driving companion. The information gathered by Waze has proven invaluable not only for drivers but also city planners, transportation departments and first responders. Taking into account the sheer volume of data collected on a daily basis, these organizations are able to work with Waze to design new infrastructure while avoiding congestion, plot the most efficient routes for incident response and efficiently reroute traffic during fluid situations. By using Waze you're not only helping out yourself and other drivers, but you also might be making a difference in improving how your city or town functions.